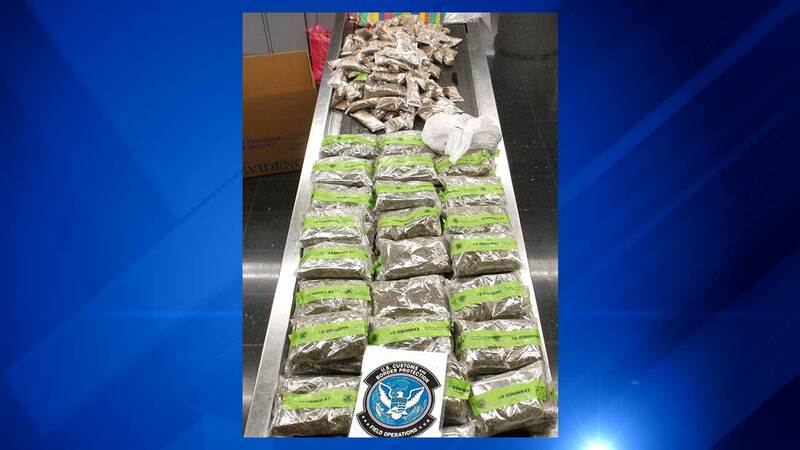 CHICAGO (WLS) -- More than 30 pounds of opium powder was found in the luggage of a traveler at O'Hare International Airport, the U.S. Customs and Border Protection said on Monday. The traveler, a 52-year-old U.S. citizen who arrived on a flight from Tokyo, was selected for examination, federal officials said. During the baggage inspection, officers discovered 212 packets of a brown powdery substance concealed in plastic bags containing dried leaves. The packets of the brown powder tested positive for opium. "These concealment methods vary and can be extremely difficult to detect but CBP officers are well trained, experienced and highly motivated in detecting this contraband," said Matthew Davies, Chicago Area Port Director. The passenger and opium were turned over to the Des Plaines Police Department.